Basic helix–loop–helix (bHLH) proteins comprise one of the largest transcription factors (TFs) families in plants and members have been identified in model plant species, such as Arabidopsis thaliana and Oryza sativa. However, far less is known about the evolutionary history and expression patterns of bHLH proteins in woody species, such as grape (Vitis vinifera). In this study, we identified a total of 126 bHLH genes (VvbHLH) in grape genome, which were classified into 24 subfamilies based on the phylogenetic analysis included homologs from four plant species. The VvbHLH genes belonging to the same subfamilies have similar protein motifs and exon/intron structures and synteny analysis indicated that tandem and segmental duplication events have been major contributors to the expansion of the VvbHLH family. Synteny analysis between grape and A. thaliana suggested that some bHLH members shared a common ancestor. Expression analysis of 26 VvbHLH genes, representing members of the III and IV subfamilies, revealed profiles that were tissue-specific, hormone-responsive, and responsive to abiotic and biotic stresses. Taken together, the genome-wide identification and characterization of the grape bHLH TFs provide insights into their evolutionary history and represents a resource for further functional characterization in the context of crop improvement and stress tolerance. The online version of this article ( https://doi.org/10.1007/s10725-019-00485-3) contains supplementary material, which is available to authorized users. This work was supported by the National Natural Science Foundation of China Grant No. 31572110 and the Program for Innovative Research Team of Grape Germplasm Resources and Breeding Grant No. 2013KCT-25 to X.W. 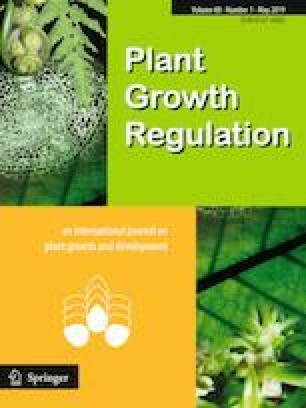 We thank PlantScribe (http://www.plantscribe.com) for editing this manuscript. XW and MG: designed the study. MG, JY, HZ: contributed to the most of experiment. YZ, CC, RW: performed data analysis. YZ: assisted with the analysis of the results. XW and ZF: provided guidance on the study. MG and XW: wrote the manuscript. All of the authors approved the ultimate manuscript. There are no competing interests in this paper, and the authors do not have any possible conflicts of interest.